Timely review materials aimed directly at the concepts of each exam. Office hours and individualized video tutorials. Detailed support with Excel functions. A proprietary Excel workbook to help in your data analysis. Feedback on what you are doing correctly or incorrectly. Suggestions on how you might use the concepts in your daily life. This online statistics course familiarizes students with the basic concepts of business statistics and provides a comprehensive overview of its scope and limitations. Students become familiar with statistical analysis of samples, compute the measures of location and dispersion, and interpret them for descriptive statistics. Similar to other online college statistics courses, lessons demonstrate linear regression, multiple regression, correlation analysis, model building, model diagnosis, and time series regression using various models. The course also describes basic concepts of probability and applies the discrete and continuous distributions of probability. Other topics in this online statistics course include constructing a hypothesis on one and two samples, performing one-way and two-way analysis of variance, applying nonparametric methods of statistical analysis, and making decisions under risk or uncertainty. If you've been considering an online college statistics course, this is the one. All the material is laid out for your success in the class. Challenging but not impossible to pass. Great course, self paced helped. This course is very helpful in helping me understand and learn about statistics concepts and the best thing I like about it is I can do it at my convenience. this course was very easy to follow along if you follow the recommended steps. Dan Gryboski has been teaching math and statistics online and in the classroom since 2002. Throughout his teaching career, Dan has been recognized as a teacher who meets the students’ different learning needs. In his very first year of teaching, he was selected as the Master Teacher out of 250 other faculty members. He was nominated by his students specifically for his ability to help students apply mathematical concepts in their daily lives. Dan made 600 tutorial videos for McGraw-Hill publishers and most recently created over 300 tutorial videos for StraighterLine. He continues making videos, as he routinely responds to students’ questions by creating tutorials that answer their specific questions. Dan earned his Bachelor of Arts degree in Mathematics and Computer Science from Colorado College. He earned his Master of Science degree in Mechanical Engineering from the University of Colorado, Boulder. Before entering the teaching profession, he worked as an engineer modeling the passenger capacities of automated transportation systems. 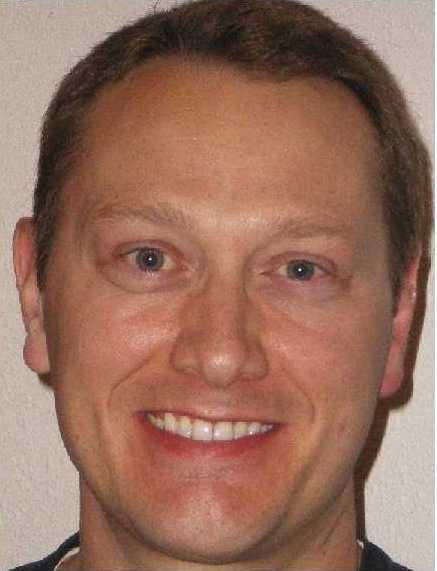 He was invited to present his paper, “Using a Simple Linear Regression Model to Predict the Outcome of Collegiate Football Game,” at the Hawaii International Conference on Statistics in 2004. He has presented at numerous local educational forums promoting the use of real applications in teaching mathematics and, thereby, self-reliance. Dan enjoys spending time outside with his wife and three children, as well as riding his mountain bike and golfing. Define statistics and identify its scope and limitations. Describe and apply the basic concepts in statistics. Apply the sampling methods and the Central Limit Theorem to perform statistical analyses of samples and to predict population behavior. Compute and interpret measures of location and dispersion. Represent the statistical data in different forms and interpret the different representations. Perform multiple regression and correlation analysis. Describe the basic concepts of probability. Describe and apply the discrete and continuous distributions of probability. Conduct hypothesis tests based on one or two samples. Perform one-way and two-way analyses of variance (ANOVA). Apply nonparametric methods of statistical analysis. Perform time series regression using various models. Perform model building and model diagnoses. Identify and describe three interrelated features of how economists think about the world. Differentiate between the word "statistics" and the science of statistics. Describe the importance of statistics and situations where statistics are used in business and everyday life; identify business situations in which statistics can be used appropriately and inappropriately. Identify qualitative versus quantitative and discrete versus continuous variables. Discuss the levels of measurement and choose the most appropriate level of measurement for a specified situation. Explain the role of computer software in statistical analysis and identify some of the most popular software packages. Construct bar charts to display categorical data. Define the terms population and sample. Explain the need for sampling. Use a simple random sampling technique to select members of the general populate. Understand more complex sampling techniques, such as stratified, cluster, and systematic random sampling. Identify sampling errors in a given situation. Calculate the arithmetic mean for a given set of data. Calculate the geometric mean for a given set of data. Calculate the median and mode for a given set of data. Compute and interpret the range, mean deviation, variance, and standard deviation for data observations. Interpret data using Chebyshev's theorem and the Empirical rule. Understand how software can be used in computing various measures of location and dispersion. Create and interpret dot plot, box plot, and scatter diagrams. Define and compute quartiles, deciles, and percentiles. Compute and interpret the coefficient of skewness. Discuss the objective and subjective approaches to probability analysis. Calculate probability using the rules of addition and multiplication. Use and interpret contingency tables, Venn diagrams, and tree diagrams. Compute the number of possible outcomes for combinations and permutations using formulae and Excel functions. Explain the difference between discrete and continuous distribution. Compute the mean and the standard deviation for a uniform distribution. Calculate the mean, variance, and standard deviation of a probability distribution. Compute probabilities using the binomial probability distribution. Compute probabilities using the uniform distribution. Calculate areas under a normal curve using the Empirical Rule. Compute probabilities using the Poisson probability distribution. Compute probabilities using the normal probability distribution. Select a sample and construct a sampling distribution of the mean. Explain the importance of the central limit theorem and how it applies to sample distributions. Define the terms confidence interval, point estimate, and degrees of freedom, and explain how they are involved in the sampling process. Demonstrate the ability to compute a confidence interval for a large sample experiment. Compute a confidence interval for a small sample experiment. Compute a confidence interval for a proportion. Determine an appropriate sample size for small, large, and proportion experiments. Formulate null and alternate hypotheses, and test the hypothesis using the five steps of the hypothesis testing procedure. Discuss Type I and Type II errors on a test of hypothesis. Perform a one-tailed and a two-tailed test of hypothesis. Perform a test of hypothesis on the difference between two population means using the z and t statistics. Perform a test of hypothesis on a population proportion using the z statistic. Discuss the difference between correlation and causation. Analyze the correlation between two variables in specified situations. Calculate and interpret the coefficient of correlation, the coefficient of determination, and the standard error. Calculate and interpret the linear regression line. Construct and interpret a confidence interval and prediction interval for a dependent variable. Use an ANOVA table data to compute statistics. Analyze the relationships between several independent variables and a dependent variable. Test to determine whether the regression coefficient for each independent (or explanatory) variable has a significant influence upon the dependent variable. Calculate and interpret multiple regression analysis. Compute variance of regression using the standard error of estimate and the ANOVA table. Calculate and interpret the coefficient of determination and the correlation matrix. Identify the violation of assumptions: homoscedasticity and autocorrelation. Discuss the general idea of analysis of variance and analyze the given F distribution. Test a hypothesis to determine whether the variances of two populations are equal. Test a hypothesis about three or more treatment means and develop confidence intervals for the difference between treatment means. Perform an analysis of variance (ANOVA). Understand how to use statistical software in variance analysis. Test a hypothesis comparing an observed set of frequencies to an expected set of frequencies using the chi-square test. Identify the limitation of the chi-square test in a specified situation. Analyze relationships in statistical data using a contingency table. Identify the causes of process variation and apply statistical process control to reduce process variation. Sample a process and use rational sub-grouping to control process. Use statistical software to create X-bar and R-charts. Interpret information presented in control charts and R-charts to identify assignable causes and analyze patterns. Calculate and analyze the upper and lower natural tolerance limits to evaluate whether a process is capable of meeting specifications. Construct p chart for fraction nonconforming. Successful completion of Introductory and/or Intermediate Algebra courses is recommended before taking Business Statistics. Lind/Marchal/Wathen: BASIC STATISTICS FOR BUSINESS AND ECONOMICS, Seventh edition is a derivative of the best-selling STATISTICAL TECHNIQUES IN BUSINESS AND ECONOMICS, offering the essential topics of statistical tools and methods delivered in a student friendly, step-by-step format. The text is non-threatening and presents concepts clearly and succinctly with a conversational writing style. All statistical concepts are illustrated with solved applied examples immediately upon introduction. Modern computing tools and applications are introduced, but the text maintains a focus on presenting statistics content as opposed to technology or programming methods, and the seventh edition continues as a student's text with increased emphasis on interpretation of data and results. Create your own custom Business Statistics ! Select up to courses from the list below.